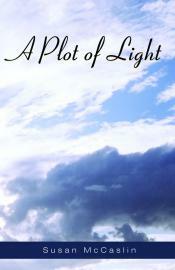 Susan McCaslin’s A Plot of Light charts a contemplative journey in which the world of visionary dreaming lies along a continuum with the everyday life of the mystic, baffled and blessed by moments of connection with a larger, more comprehensive mind, wooing us with her poems into the world of the invisible. The poems form a quaternary, beginning with a series of visionary dreams, then exploring the dreamer as pilgrim treading the sites of poet-contemplative Thomas Merton’s birthplace in Southern France. The poems integrate moments of transcendence into the sharper light of the everyday, and the volume ends with an elegiac sequence about the decline and death of the poet’s father, in which the world of the dead is inseparable from the world of the living. These poems embody the longing for the birth of a new self.